In the four years since Lucidchart’s launch, collaborating in real-time with remote editors has been one of its most popular features. 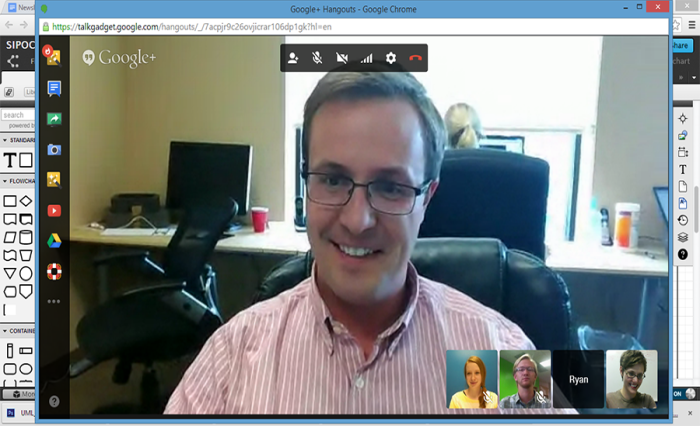 Today, we're announcing a game-changing update to that feature: Integration with Google+ Hangouts. 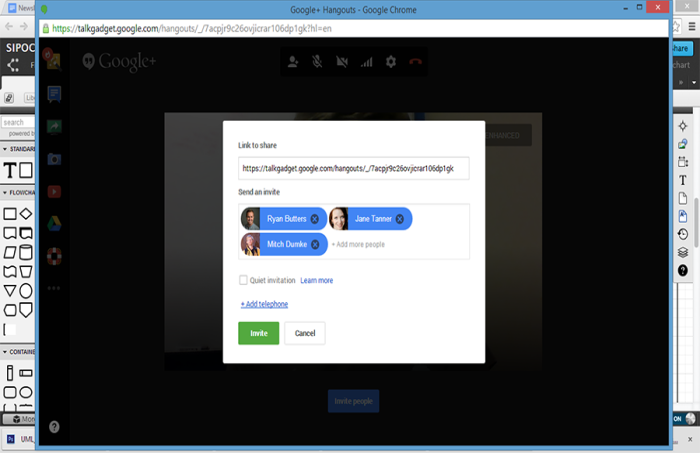 This integration takes advantage of the updated Hangouts launch widget announced today by Google. 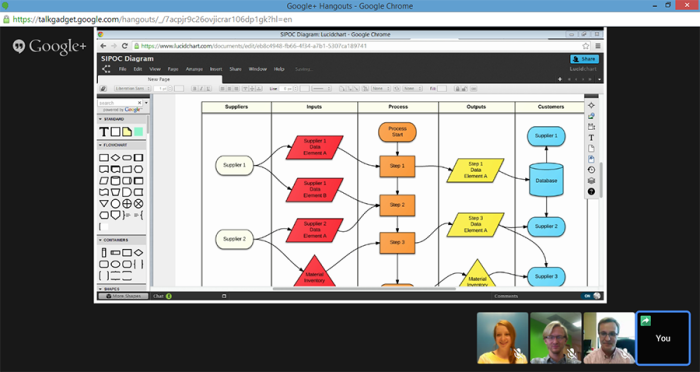 With Google Hangouts, team members can share their screens, see and hear streaming video of each participant, and continue to view edits to the current diagram. Getting started is easy! Select the Chat window on the lower-left side of the screen. 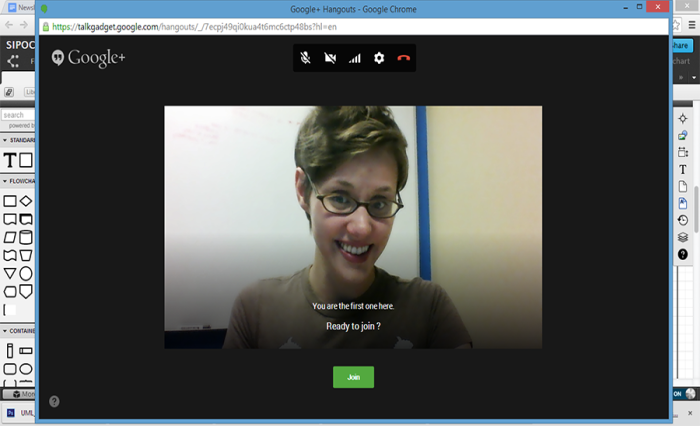 Click "Start a Hangout" and invite participants by email address. If your document was previously shared with colleagues, their names will be automatically added to the invitation list, but you can add or remove anyone you wish before invites are sent. Lucidchart features several other integrations with Google, including seamless interplay between Google Drive, Google Apps, and our application. Since more than 70% of paid Lucidchart users are associated with a Google Apps domain—not to mention the countless free educational users on Google Apps for Education domains—our efforts have been well-received. Lucidchart is one of the highest-rated and most-installed Add-ons for Google Docs. 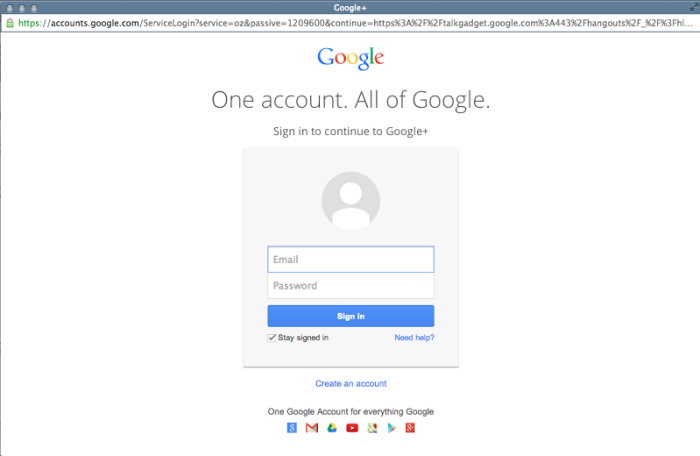 It's also one of the most-installed apps for education in the Google Apps Marketplace and Chrome Web Store. Whether you're a student or professional, this integration will boost efficiency and save you time. 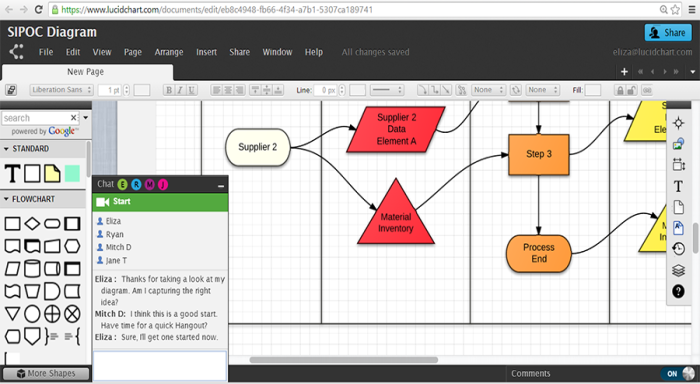 Try Google Hangouts in Lucidchart's diagramming application today!